The classic pearl strand goes bold when you chose a larger pearl size. 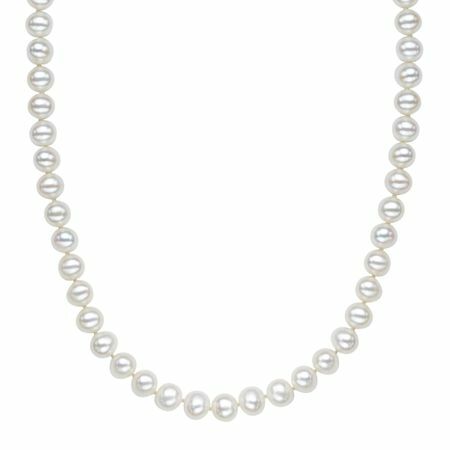 Round, 8-9 mm freshwater pearls are finished with a stylized sterling silver lobster clasp. Piece measures 18 by 3/8 inches.